People have been riding motorcycles for the purpose of saving on fuel costs for decades. Now that electric motorcycles are rapidly gaining popularity, the concern has become the amount of ground one can cover on a single charge. Most e-motorcycles have a very limited range, so they’re great for commuting but not so much for taking day trips. The Johammer J1 is a huge step up from most other electric motorcycles in range: it can go up to 125 miles on a single charge. It’s able to achieve this feat by using a battery that is smaller than those in similar motorcycles. 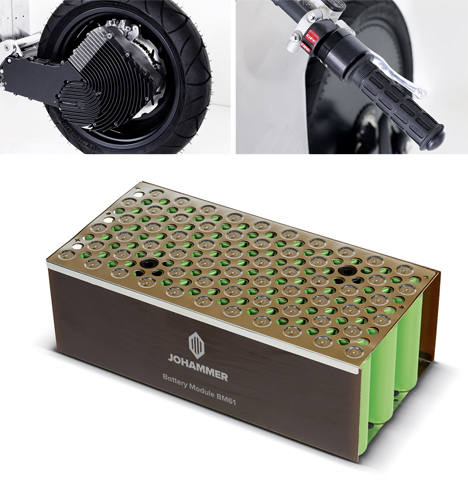 The Johammer battery pack is designed to be durable and efficient, with an expected life of four years. Of course, the thing that most people will notice first about the Johammer J1 is that it’s quite nice to look at. 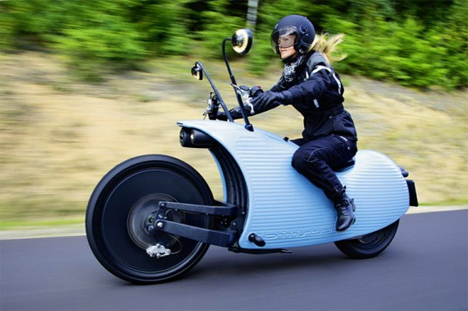 The body brings to mind a classic Vespa while the futuristic front wheel looks like it belongs on the Batcycle. 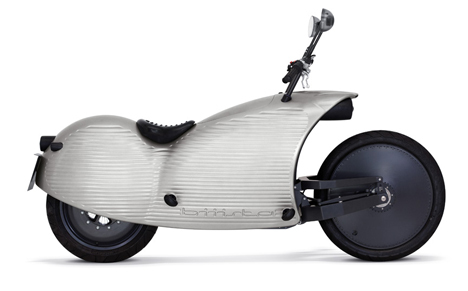 Starting out at just a bit under $32,000 US, the Johammer is relatively affordable compared to other motorcycle options.